Simone Chiariglione, also known as “Simone Jig”, born in 1980, has been a competition angler in lake trout and match fishing fields from 1992 to 2002, but his great passion has always been the sea fishing. He started fishing from the boat at the age of 16, with his first 4,50 m boat, which he got as gift from his father, who had noted the great excitement for the sea. 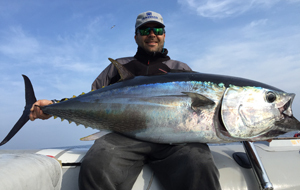 Simone always remembers his first trolling session and, year after year, he became more and more specialized in livebait and lure fishing, mainly jigging and inchiku, which have played a big role in his recent fishing life. 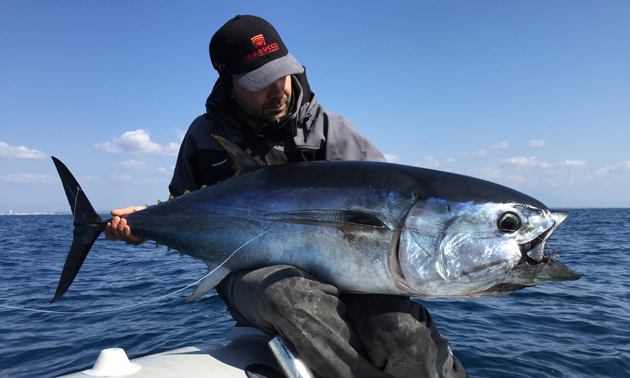 Nowadays, red tuna big game absorbs most part of his fishing time, rewarding him with strong emotions. Simone really gets crazy with it, up to dreaming of it every night! 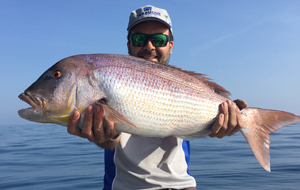 Apart from above techniques, Simone also does rock fishing and spinning, both from shore and on the boat, kabura fishing, offshore big game, light drifting, boat fishing and Bolognese, either from the bank and from the boat. A really complete angler, already highly experienced in spite of young age.